The Wiwi Jury — our in-house panel of music unprofessionals — continues to rate and review the 41 competing entries of Eurovision 2019. Next we welcome back Russia‘s Eurovision 2016 star Sergey Lazarev, who this year competes with the ballad “Scream”. Did this song make us want to scream with delight? Read on to find out! Anthony: After hearing that Sergey decided to have another go at Eurovision, it sounded like a risky move following his third-place finish in Stockholm. But he made a flawless transition from the poptastic “You Are the Only One” to ballad with “Scream” and it’s an absolute screamer. Could Sergey follow Dima Bilan and win for Russia on his second attempt? Barnabas: Everyone’s favourite Russian charmer shows how versatile he is and that he isn’t tied to one single genre. “Scream” is dramatic and powerful, and knowing the team behind Sergey, we can expect a great stage show from Russia. However, about Sergey doing a Dima Bilan… well, I’m not that sure at all. Lukas: After finding out that Russia was going to send Sergey once again, my hopes were very high. But after the song release, those hopes were not fulfilled. It’s a good ballad and we know Sergey can sing very well but this time it’s up against some much stronger ballads. “Scream” just doesn‘t go anywhere, and while the bridge is strong, that’s the only strong part in this song. If the staging is going to be as impressive as in 2016, my liking of this song will grow but for now it’s middle-of-the-road at best. Lucy: I’m just gonna say it: I prefer this to “You are the Only One”. This is powerful and really lets Sergey’s vocal abilities shine, as rather than relying on staging trickery. It takes the mind to a powerful end sequence of a Disney blockbuster, aided by the music video which is completely stunning. Where a video may mean nothing to performance quality once we get to the contest, with Sergey it’s a considerably important factor. I do think there are stronger ballads this year, but I was delighted to hear something vastly different on attempt two. Luis: “Scream” is an interesting choice that goes counter to one the mantras of what a good Eurovision song should be: it is not radio-friendly, it’s not a chart topper (or it wouldn’t be if it wasn’t Sergey Lazarev singing it), but it’s still a solid entry and a candidate for the victory. Sergey brings a musical theatre piece whose luck will heavily rely on how its staged and how he sings it live. Its main weakness is that it doesn’t have a strong story behind it, and it feels slightly generic, so it will be interesting to see how the Russians create (or not) a unique narrative for the staging. Sebastian: Taking out the hype and the obvious “Sergey” standard to live up to, “Scream” is a polished, respectable ballad. Vocally, it’s probably some of Sergey’s finest work. Visually and lyrically, however, there’s not much of a dream being sold here. There’s not doubt this song is designed to take you to an otherworldly place when on stage, but as a recorded track, “Scream” does quite have that impact yet. It’s a wait-and-see in Tel Aviv. We have removed the highest and lowest scores prior to calculating the average. This is to remove outliers and potential bias. We have removed a low of 5 and a high of 10. The music video reminds me some Darren Hayes videos, like “Black out the Sun” and “Maybe”. Very theatrical! For me their decision to not follow the “Eurovision formula” and enter with such a unique song is brilliant. Jesus, 7.33???????? Overrated as hell!!! This is a great song, but only on paper. It feels overproduced with its acting, there is no emotion in it, and if I can be a bit critical for a bit, the first time he sings SCREEEEEEEEEEAM, I always cringe at how he ends that note so roughly when the rest of the song is quite smooth. This for me is in my bottom 5. While I understand what you mean by “apotheotic”, it is not a word I see used very often in English because it has a more religious and spiritual dimension to it. Perhaps the word “climactic” is more fitting? I thought if I should use the word, because it seems it got a different connotation here. We use “apoteótico” for a great moment of commotion, like scoring a winning goal at the very last moment of the match. So “climactic” it is. 🙂 About the lyrics… well, you’re much more comprehensive than me about them. Too bad, because the melody won me over. I do think this song lacks the passion to be an Eurovision winner (just like in 2016) but he does bring a really good effort with amazing instruments, solid vocals and a bridge that is just everything for me. Russia will surely bring great staging and it’s clear that they want to win, but I don’t think Sergey has a big connection to this song and it feels more like a product than something created out of feeling/ emotions. But it’s still great! The scores are artificially high as all the jury seem to be giving higher scores anticipating great staging just because its Sergey.. It should be judged on its merits as a studio cut only and in that context it’s a dated boring 3/10. And that’s me being generous. I think he’ll go down in Eurovision history as a Russian Cliff Richard. A lot of people will think that he won the contest at some point, but he never did. How on earth is the lowest ranking among 29 people 5/10??? It’s dated, boring and if this was by anyone else but Russia and Sergey its average would be soooo much lower. 4.5/10 from me. In London William gave his coat to Duncan, but Sergey was more cute when he gave his coat to Ira Losco. btw, do you know what Duncan Principle is? Is when you break somebody by making him/her wait a lot of time in the waiting room. OK Salvador Sobral, next year ESC will be a radio event. Happy now? btw, Polina Gagarina was an egg, and she was second with a vomitive peace song. Why a strong needs to be “memorable” in order to be strong???? I suppose you have never listened in your life instrumental music or opera for example. The song is not “pop” ! Haven’t you noticed yet??? I never thought that Lazarev of cheesy cheap YATOO could ever release such an amazing song as scream. Sometimes “propaganda” (spot the quotation marks) works. The many articles about Sergey actually have led me to like him. But my musical taste doesn’t lie. The lyrics of “Scream” are atrocious and the melody is just okay. But knowing that Russia will bring a spectacular performance, I’m going to ignore the lyrics and just enjoy the whole thing. And honestly, I would not even mind to see him winning, if only as a big F U to Jamala. The only one atrocious here is you yourself. You are a fan of Laura Bretan, so your taste about lyrics don’t count. I am not a fan of anything and I repeatedly criticized Laura’s lyrics, while acknowledging her talent, just like I did with Sergey in my comment above. It is beneath me to engage with people like you but I didn’t want to just leave your incorrect comment undisputed. It is what it is and you wrote it. Just own it, instead of trying to be the smarter person, because you can talk about your own tastes and nothing else. Just own it!!! The song is not my cup of tea but I must admit its a very good song: strong melody,great production,amazing vocals,powerful lyrics. It will definitely stand out from the other songs in the final,because its very different. Overrated ranking imo. At the moment, Armenia should have a better ranking. It’s a dramatic ballad but it’s not really heating the walls of my heart. But They’ve designed it for it to be a stage show and Sergey is showing his boyfriend better here. A 6.5/10. 3 points for the huge Russian diaspora support and a decent running order slot. It’s a cent perçent qualification situation . Listening to eurovision song the last two – three years is like listening to CD compilation of songs that a mega star would reject. Songs that Dua Lipa, Rihanna, Zayn etc would never consider for their album. I am really glad that Russia is not following this trend. Songs are not only created for spotify and youtube, there are songs for a show,theatrical plays,movies and Eurovision is a TV show so I find it awesome that someone created a strong song for the show. I hope they will win. I really like Russia’s 2019 entry, but bringing down ALL the other great songs in past few years in not a good move. Well, one day I heard “Euphoria”, “Satellite” and “Heroes” all being played in radio, “Toy” got millions of views on Youtube, after ESC 2017, all you could hear in radio in Poland was “I Can’t Go On”. If that’s not a proof that Eurovision produces hits, I don’t know what is. I heard Loin D’ici years after in a mall, and one coffee shop even played X My Heart (a NQ song). Not to mention I’ve heard Cool Me Down several times in public and that one didn’t even win it’s NF. So what does? What’s your point? My point is that none of the Eurovision songs became a European hit the last ten years. Have a look at the streams or views of a song like “everywhere” from Rita Ora (which was a European hit) and compare it to the streams and views of Netta. Those of us who have been Eurovision fans for years don’t really give a toss if they are hits or not. Personally i and many others enjoy it for what it is a good enjoyable multfaceted show. I prefer ESC music the the stuff on the radio any day of the week. I do like a lot of other music , many different genres but get pissed off with this obsession of *has to be radio friendly for approval* no it doesn’t. its what you enjoy that counts. Euphoria was a hit. Calm After The Storm was a hit. I’ve heard Only Teardrops in the supermarket multiple times over the last years. It is just not true that no Eurovsion songs have become a hit outside of their own country the last 10 years. I love this song, and I would have loved it anyway, just for knowing is everything that Salvador hates. This song will be sublimated by the live + the staging. I love the song. Its very different than anything ever heard in Eurovision. Its dark,dramatic ,epic it fits his voice and he has the feeling of a soundtrack. He sets an example of how an artist should come back to Eurovision: keeping his status as a performer and not repeating himself . First of all, it may be dated or Disney, BUT this is much better than “You Are The Only One”. Somehow the fandom was all over YATOO like a rash but seem to be hating on this? Dima Bilan was 2nd in 2006 and 1st in 2008. But both results were during 100% televote. Sergey won televote in 2016, so Sergey already won the competition with Dima. Now, in 2019, I don’t care about Scream result, but my personal opinion is that Scream is better than “The man from Atlantis” = Arcade. Downvote away, but I’m tired of Atlantis guy. Seems like a fair score from wiwi, but putting Armenia below this ….hmmm. Of Course, we all know with their epic staging, they will elevate the song. The current odds represent ‘future expected profits’, as we say in economics/finance. Fokas Evaggelinos directed the live performance of Russia 2016/14, Azerbaijan 2013, Moldova 2018, Ukraine 2008 and much more. And he will do Russia this year too. Do you STILL believe that it’s NOT gonna be epic? Well, my 9 is targeted towards a song. The staging can make it even better or a little weaker on stage, but this is a strong song on it’s own. I’m happy you like it. I’m just commenting something I observe in general. Just imagine the hype before the rehearsals. I was trying to find an explanation as to why I am not a fan of this song and after reading the comments, the commenters have got it right. This song lacks passion. Compare it to other pop ballads like the UK, the Netherlands and North Macedonia, and these come across as better because the singers sing with passion and conviction and really sell what they’re singing. I don’t feel anything when listening to Scream and so it kind of alienates me and explains why I’ve never really taken a liking to the song. Boring song, really. Nothing to get excited about. This will be lifted by the performance though, but still, in order to win you need a hell of a competitive song, this is not. Quite strange to see this comment Nicky91. For weeks you post annoying comments with “Arcade is the best! !1” “Netherlands is number one! !” but suddenly you made a shift and your comment is positive towards the Russian entry (thats possible, many people like it) and super negative to Arcade. Nicky has also claimed to be from San Marino. Just a troll. Please ignore Nicky91, he wants attention. I’d give Russia a title of ”most improved” since last year. 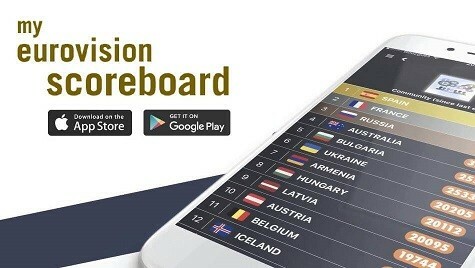 Runner-ups would be Romania, Australia, Iceland and Netherlands. No problem, I appreciate the honesty. My reviews for Cyprus and Switzerland are probably gonna get downvoted a lot. If everyone thought the same, discussions would seize to exist and the best part is being able to discuss. At the end, it all comes down to if Sergey is someone’s top or bottom… lol. I’m sorry, I really tried to keep an open mind (and after YATOO that wasn’t easy for me), but this is just not my kind of music – at least I’m trying to give some reasons, so perhaps you can relate to some of those, even if you don’t agree with my final outcome. As for Cyprus and Switzerland you won’t be the only one getting downvoted – but I still prefer both songs over “Scream”. Now, I’ve said it. That’s okay, Tibor 🙂 I enjoy your reviews nonetheless. Also, not to forget, my reviews for Azerbaijan and France might turn out as a cold shower for many. Agree with everything but probably ending up in the top ten might be underselling it slightly, no? Top 10 is something I am almost 100% sure of, but I edited it’s chances, because winning is indeed not a stretch. This is my favorite Russian entry since Polina’s Million Voices. Also, this is the first song review of my top 10 of 2019. I totally agree with your description of Scream. Personally, I love songs that make me feel something (happy, sad or nostalgic… whatever) even when they may not have a solid production. I bet Russia will bring a mind-blowing stage performance to Tel Aviv so I’ll wait to see the rehearsal. What’s not to like? Dramatic instrumentals, flawless vocals…the promise of an amazing stage performance? Could not be more excited for this! Better than “You’re The Only One” which I wasn’t a clear fan of. Staging will have to match this, and of course, Sergey will deliver the goods vocally so there is no question about that. As for potentially winning? That’s another matter that we’ll look into in a few weeks.